The Kaburaki Kutani Porcelain Shop, established in Kanazawa in 1822, was the very first Kutani merchant family business. 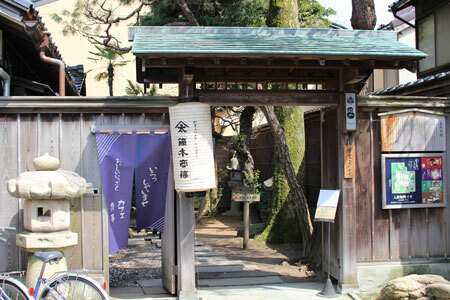 It has been handed down through the generations to the present 8th proprietor, Motoyoshi Kaburaki. At the height of Kutani porcelain production during the Meiji and Taisho periods (1868-1926), Kaburaki Kutani pieces were regularly exhibited at various venues at home and abroad, as well as at world expositions. It was during this period that Kaburaki gained its well-deserved reputation for top-quality. 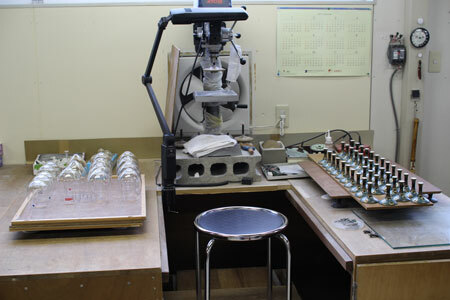 The Kaburaki Kutani business has been in existence for more than 190 years. "We cherish our traditional methods and techniques, and at the same time, endeavor to create novel products for our customers both in Japan and overseas." The Kaburaki family began trading in Kanazawa in 1822 during the Ienari era, the 11th Tokugawa shogun, as the very first commercial merchant of KUTANI porcelain. KUTANI porcelain production was reactivated under the patronage of the Kaga clan, and the old Wakasugi and Ono kilns were founded. Two years later, the famous Yoshidaya kiln was set up by Den-emon Toyota. During the revival period, the Kaburaki family played a very important role in not only selling stock, but also producing original porcelain pieces painted by artisans in their own factory. The fourth generation proprietor, Jihei Kaburaki, stepped up efforts to expand exports abroad. Starting during the final phase of the Edo Period and continuing into the early Meiji Period, trade with foreign countries really took off. Production capacity was in place in terms of both quality and quantity, and coincidentally, domestic demand expanded at the same time. During that period, it was felt that KUTANI's revival was complete as a local representative industry. Indeed, it was prospering due to increasing export demand. The Kaburaki family actively participated in many exhibitions, both domestically and internationally. Recognized with a series of awards, KUTANI by KABURAKI was appreciated as topnotch, acquiring fame and a well-deserved reputation both at home and abroad. In the early Showa period, with the cessation of the export market, KABURAKI shifted its focus to domestic demand. Since then, and even during the hardest period of wartime, KABURAKI continued distributing KUTANI porcelain all over Japan. As of today, KABURAKI has 189 years of history. In the spirit of the founder, each member of staff strives to maintain excellence in every aspect of the KUTANI porcelain heritage, lovingly delivering the very best to customers worldwide. At the upper reaches of the Daishoji River, deep in the mountains, there was once a village called Kutani. A stone monument bearing the inscription "Ko-Kutani kiln ruins" stands quietly in a clearing. It marks the spot where the Daishoji Clan(a branch of Kaga Clan) established a kiln in about 1655, to make use of local porcelain stone. The porcelain-ware that was created there was later called "Ko-Kutani", and became the foundation for Japanese colored porcelain ware. Rich over-glaze colors applied with fluid brushwork – green, yellow, red, purple and blue – give KUTANI porcelain its characteristic beauty. However, for reasons unknown, only half a century later the kiln was abandoned. About 100 year later, KUTANI porcelain was revived under the patronage of the Kaga clan. The Kasugayama and Wakasugi kilns were established, and kilns, such as the Yoshidaya kiln, rode on the momentum of "revived KUTANI", all producing over-glaze porcelain ware. Various styles competed and combined to develop into the over-glaze techniques that have been handed down to this day. In modern times, the gorgeous Kinrande style has become well known in the West as "Japan KUTANI". KUTANI porcelain, which combines the artistry of Ko-Kutani ware and the utilitarian beauty that developed from "revived KUTANI", continues to evolve. 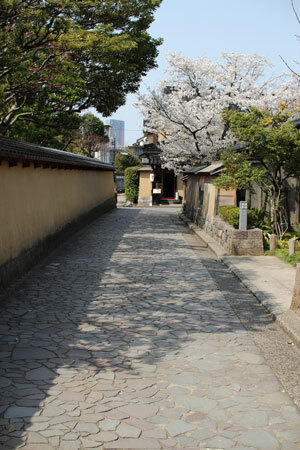 In the Edo period, the Maeda family governed the prosperous fiefdom of Kaga. Successive Kaga lords, who were well-versed in culture and the performing arts, promoted a policy of civilian government, making their fiefdom a center for crafts, especially KUTANI porcelain. What made such luxury possible were the local geographical features – Mt. Hakusan, the Kaga Plain and the Japan Sea, as well as an abundance of food. In Ishikawa, a prefecture with a tradition for outstanding craftsmanship, Japanese-style beauty is still alive and well today.